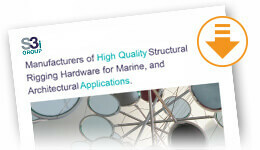 An overview of our range of marine, architectural and structural products. 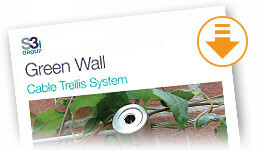 Get information about our Green Wall trellis system. 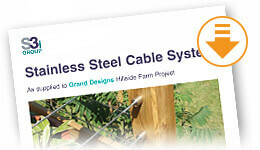 Get information on our stainless steel cable systems, popular in many internal and external applications. 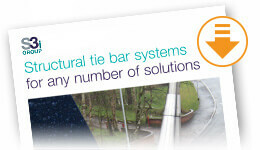 Get information on our SBS-450 Architectural Tie Bar System. An overview of DIY green wall trellis installation, tips and advice. An overview of DIY tensioned wire trellis installation, tips and advice. 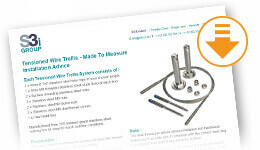 An overview of made to measure tensioned wire trellis - made to measure installation, tips and advice. An overview of DIY balustrade wire kit installation, tips and advice. 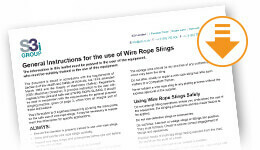 An overview of the standard catenary wire kit installation, tips and advice. 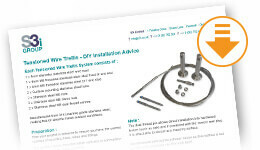 An overview of the plant training wire kit installation, tips and advice. High performance products that have been specifically developed for demanding corrosive environments.